India is fast becoming the centre of a revolution in motoring. A new generation of ultra-cheap cars is about to hit the streets, allowing millions of would-be drivers to dream of personal mobility for themselves and their families. "A totally new market is opening up - the way we are receiving comments and inquiries is quite mind-boggling," said Ravi Kant, the managing director of Tata Motors. International car manufacturers are also scrambling to establish a firm foothold in India, which is set to become the fastest growing car market in the world. The Tata Nano was unveiled with great patriotic fanfare in January. Its basic price - about $2,500 - is about half of its nearest current rival. 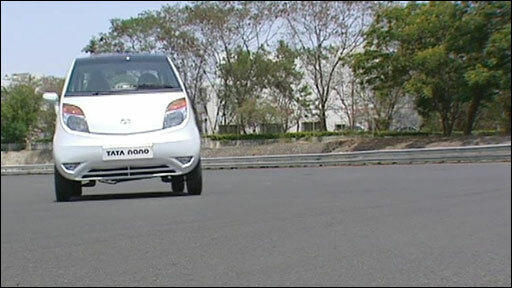 The BBC travelled to the huge Tata Motors complex in the western city of Pune to get an exclusive look at the Nano in action, and to talk to the team which created the ultimate no-frills car, cutting costs part by part. Everything from the number of wheel nuts to the number of parts in the door handle was re-examined. "The body was redesigned three or four times, and the engine three times," said Girish Arun Wagh, the head of Tata's small car project. "Simplicity was the key." And that means that when the Nano goes on sale towards the end of this year it will be in a position to overturn the economics of motoring. "We believe that more than goods transportation it is people transportation that is going to see a massive change, and we are prepared to tap into this opportunity, " said Ravi Kant. But Tata won't have it all its own way. Another Indian company Bajaj Auto, which makes auto-rickshaws and motorbikes, has announced plans - in partnership with Renault and Nissan - to produce a direct competitor to the Nano by 2011. The starting price will be the same. "Whoever wants to do it at least has to manufacture it in India," said Rahul Bajaj, the company's chairman. "If Tata motors can make money I can make money. My costs are lower than Tata Motors. But if General Motors or Volkswagen tries, I don't think they can make money." But even if they won't compete at the very cheapest end of the market, that hasn't stopped a host of global car companies investing in new factories on the outskirts of cities like Pune and Madras (Chennai). Soon the region around Pune alone will make more cars than Britain. Many of them will be sold to India's eager domestic market. And there's plenty of room for expansion out in the countryside, where 70% of Indians still live. But India's cities are already suffering from congestion and pollution, and millions of new cars will only make matters worse. "You want to give mobility to all," said Anumita Roychowdhury of the Centre for Science and Environment. "And cars can never give mobility to all in Indian cities." "You just do not have the space in Indian cities where you can motorise and meet the needs of everyone. There's a big equity issue here." The response from the motor industry is robust. 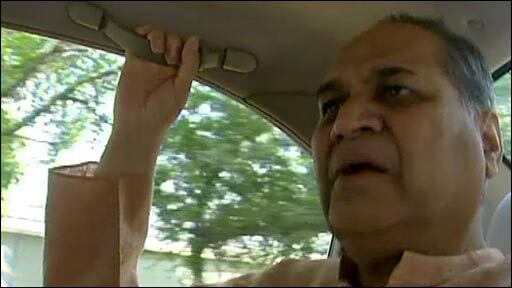 "I'm all for a clean environment," declared Rahul Bajaj. "But if you want a real clean environment, go back to the cave age." The rapid increase in demand for cars is closely linked to soaring economic growth, and Indians are understandably sensitive to suggestions that they shouldn't be able to enjoy freedoms people in the West take for granted. But that still leaves India grappling with a familiar challenge on a massive scale: How to meet the demand for private cars and personal mobility in a way that works. For a billion people, and counting.